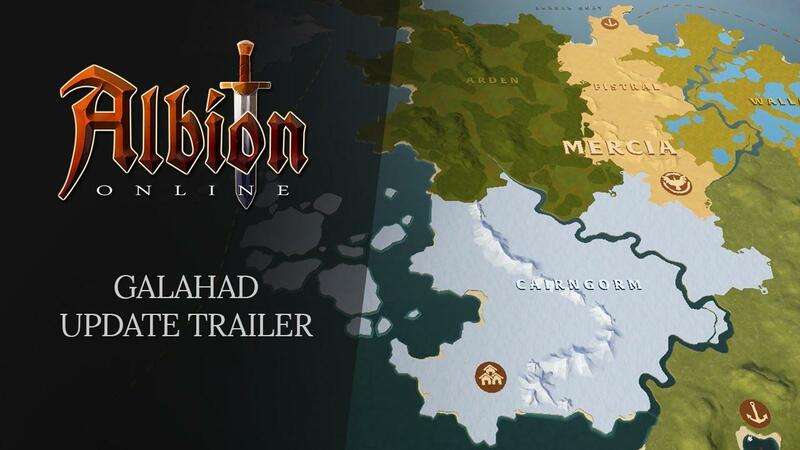 Albion Online is going to be pretty interesting for MMO fans on Linux, especially so after watching the trailer for the 'Galahad' update that lands on Monday. Note: The game is still in Beta and one final wipe will happen before the final release on July 17th. Looks like they've been working their absolute butts off to make the game a lot more interesting. I especially love the towns matching to the biome, which certainly looks good. That new UI looks damn slick too, exciting! You can read an overview of the Galahad update here. When will Galahad be live? - Legendary Founders can start playing on Monday, March 13, at 12:00 UTC. - Epic Founders can start playing on Tuesday, March 14, at 12:00 UTC. - Veteran Founders can start playing on Wednesday, March 15, at 12:00 UTC. I'm at "Epic" status, so I will likely have some thoughts up this week on the new update. I'm looking forward to it, as Linux is starved for decent MMO experiences. I still hope they continue to beef up the PvE content, which the Galahad update will do, but it's going to need more - a lot more. On top of that, more graphical options (especially AA) are needed. I picked up this game based on your coverage of it. I'm really looking forward to it! It certainly looks better, but it's still very far from what was announced years ago (medieval Eve Online). It's way too much a MOBA, and they don't listen to some super smart clever gamers giving some awesome feedback to improve gameplay (seriously), such as fully reworking the Learning Points. i picked up this game because you talk very good of it. Hope i can play 15 march. I must say, I was skeptical of this game when it first started being covered, but it looks like it's getting more and more interesting as it goes along. I'm seeing more depth in the recent trailers which is pretty appealing. Like that they are including PvE for single players or gorups. I'm gonna roleplay as a loner. Completely DIFFERENT from real life. Tchey It certainly looks better, but it's still very far from what was announced years ago (medieval Eve Online). It's way too much a MOBA, and they don't listen to some super smart clever gamers giving some awesome feedback to improve gameplay (seriously), such as fully reworking the Learning Points. Really because I've been considering this game, and if it's too much MOBA then no way I'll get it. I prefer sometimes to just play solo as well.